Kristina is using Smore newsletters to spread the word online. 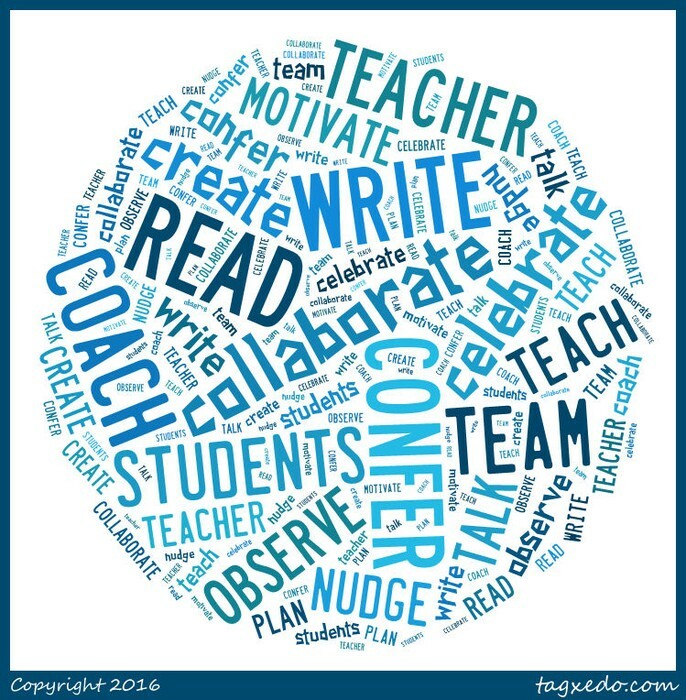 What is a Literacy Coach? A literacy coach partners with teachers for job-embedded professional learning that enhances teachers’ reflection on students, the curriculum, and pedagogy for the purpose of more effective decision making (Toll, 2014). coaches provide support for teachers as they learn what matters to their work with their students in their classrooms. coaches collaborate with teachers as equals to make decisions that increase student learning. 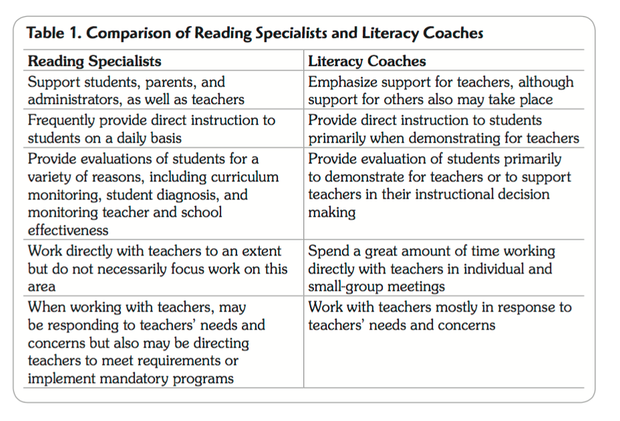 How are Literacy Coaches Different from Reading Specialists? 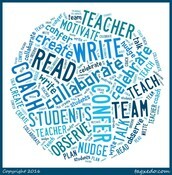 What is the Value of Literacy Coaching? Literacy coaching supports teachers' learning in a way that honors how adults learn best. It allows teachers to have a say in their learning and to have the learning process respond directly to their needs. The coaching process supports teachers as they learn about topics and issues that they have selected. Finally, literacy coaching enables teachers to apply and test what they are learning in the everyday work that they do in their classrooms. What is the Demand for Literacy Coaches? The need for literacy coaches is increasing as a result of two primary initiatives in the United States: Response to Intervention and the Common Core State Standards. Nationwide, schools and districts are utilizing coaches to support teachers in the implementation of these initiatives. Further, coaches are essential partners in strengthening teachers’ success with students identified as English learners. Toll, C. A. (2014). Literacy Coach's Survival Guide: Essential Questions and Practical Answers (2nd ed.). International Reading Association. In order to gain a better understanding of the partnership between teachers and coaches, please watch this short video. The clip from 1:05-3:50 specifically supports the importance of coaches and teachers working together to build trusting, collaborative relationships.